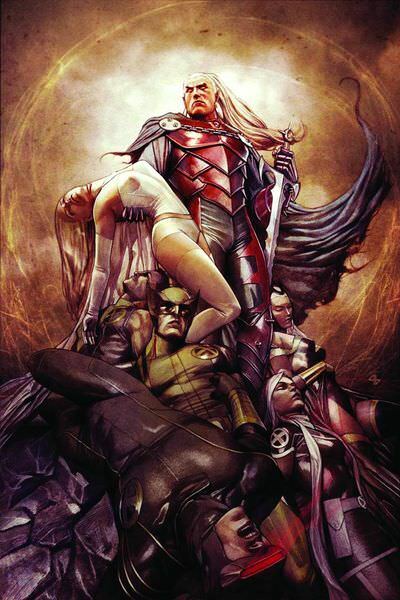 Dracula is a Marvel villain based off the vampire villain in the novel Dracula by Bram Stoker. 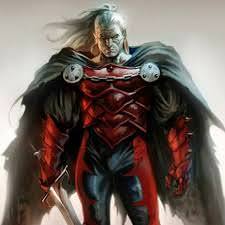 He is generally depicted as a powerful vampire lord. Preview: Blade the Hunter #1 meet the all new all different Blade! Vlad Dracula was in born in Schassburg, Transylvania in 1430. The exceptional young and bright nobleman was elevated to a full fledged prince of Transylvania, while still a child. His region is invaded by the Ottoman Turks and he begins to lead military forces. For several years he leads the guerrilla forces against the large group of invaders. In 1459, he mortally wounded in battle against the Turkish warlord Turac. Turac wishes torture his foe so he seeks out a gypsy healer named Lianda. Lianda is in fact a vampire and turns Dracula as a means of healing him. Lianda then gives the comatose body of Dracula back to Turac. Turac barges into Dracula's home and chains up the sleeping Dracula. He then rapes and kills Dracula's wife. When Dracula awakes he finds that he super strong, powerful and is extremely murderously angry. He easily rips through the chains and kills Turac. He turns Turac into a vampire as a form of vengeance. Turac returns to his home and kills his own family before being staked to death. Dracula goes on to become one of the most powerful vampire lords ever. He is chosen by Varnae to be his successor as vampire lord. Varnae forces Dracula to drink his blood, which boosts all of his power levels. 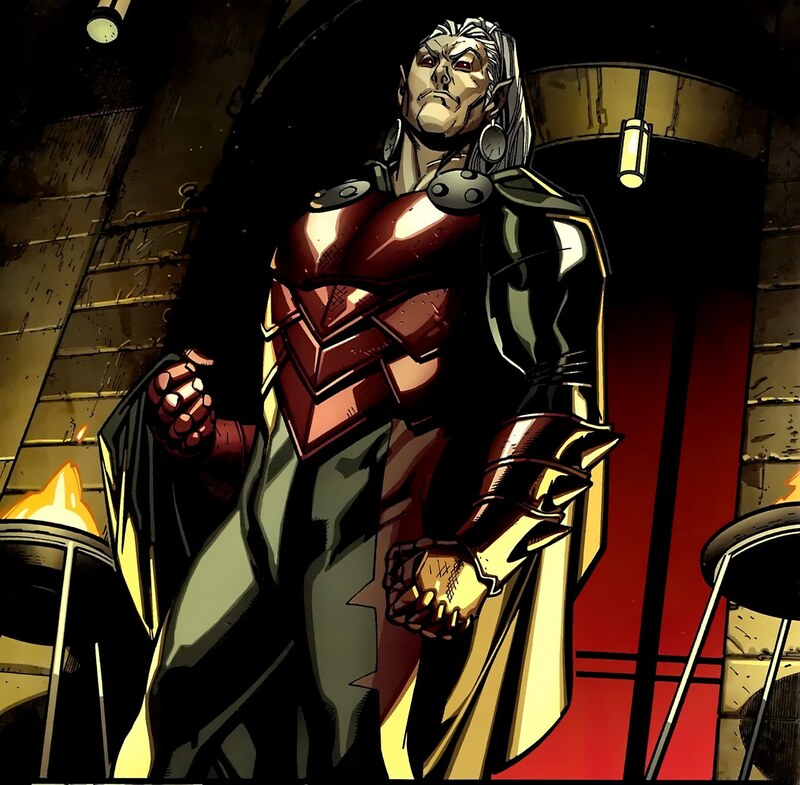 He then forces the then current leader of Vampires Nimrod to step down. Dracula fills in for Nimrod for many years. He is challenged by new vampires like Deacon Frost but generally has maintained control. Dracula battles many heroes, supernatural entities, and vampire hunters including Blade, Doctor Strange, Abraham van Helsing, Jonathan Harker, Frank Drake, Rachel van Helsing, Quincy Harker, Cagliostro, Baron Blood, Solomon Cane, The Werewolf, N'Garai Demons, Hannibal King, Mephisto, Spider-Man, X-Men and others. One of her greatest nemesis's is his own daughter, Lilith. Lilith can not be killed until Dracula himself is killed. He has battled many times with the vampire hunter Blade who vampiric powers and daywalking ability makes him an expert vampire killing machine. Doctor Strange killed Dracula and all the vampires in the world using a spell called the Montesi Formula. Various Demons, Doctor Strange's brother Victor, and Marie Laveau help weaken the Montesi Formula by bringing back Varnae (the first vampire) and he returns. Dracula assembled an army of vampires on the Moon to take over Britain but was stopped from doing so by MI-13. Dracula has many life teams worth of experience being nearly a 1000 years old. He is a skilled fighter, general and is considered to have a genius level intellect.